A gospel glossary is vital to understand scripture as it is necessary to understand the words the Bible uses to convey its truths. This is especially true in regards to the character of God and the gospel both of which have been misunderstood. There are two major and very different ways (or paradigms) with which to understand much of scripture. 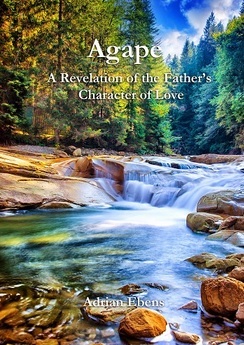 The words included in this gospel glossary will be examined in relation to both “The Biblical Healing Model” and “The Traditional Legal Model” of the gospel. 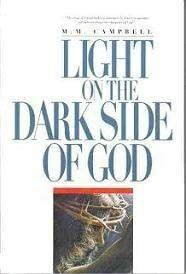 Which model a person holds to very much affects their understanding of the character of God. Only brief definitions, usually in relation to the two models, will be given on this page. For each word, there is (or will be) a link to a more extensive discussion in terms of some or all of the following especially in relation to the two gospel models and the character of God. Definitions in Earlier Dictionaries – Translators of the King James Version (published 1611) would have understood according to then-current definitions. Most other versions we use came out after 1611. Since words can change meaning over time, it makes sense to see if certain words had different meanings closer to the time they were incorporated into the Bible versions we are looking at. The source most used here is the 1828 edition of Webster’s Dictionary found at: http://webstersdictionary1828.com/.The dictionary definitions provided in this glossary may include only a portion of the various definitions given, with emphasis on those that are most important in relation to understanding the gospel and the character of God.The dictionary definitions included here may include only a portion of the various definitions given, with emphasis on those that are most important in relation to understanding the gospel and the character of God. Other sources – Links may also be provided to other authors who have given particularly good explanations of particular words. Biblical Usage – looking at how the Bible itself uses the original words in various contexts can often tell us much about their meaning. Verses referred to will be from The King James Version unless specified. This can be very important in determining word meanings. To a considerable degree, the Bible can be its own dictionary. Key examples from the Bible will be given in many cases. In fact, one of the best ways to understand many words is to understand how the Bible itself defines them. By looking at all the verses using a particular original word, always in context, the meaning often becomes much clearer. That, of course, tends to make word studies much longer. How about letting the Bible itself tell us what its words mean? Isn’t that logical? To illustrate and quickly summarize major differences between the two models, here are brief descriptions written to include the majority of words in the gospel glossary. God designed His law and imposed arbitrary penalties – ultimately, death – for violations which are called sins. Since He is a God of justice, evil stirs up His anger or wrath which must be appeased by a sacrifice including the shedding of blood. Those who finally reject salvation come under the awful curse of God who hates sin and will finally take vengeance by smiting them with fire from heaven – the second death. A sinner whose guilty conscience brings conviction for his sinfulness can confess and be granted forgiveness because the ransom has been provided to legally cancel the debt. The propitiation brings atonement for the sins, the record of which is then erased from the books of heaven. The repentant sinner, by faith, is justified and declared to be righteous. Having received salvation, he grows in sanctification towards perfection and, in the final investigative judgment, he will not come under condemnation. God designed His law as the law of life, violations of which have intrinsic, natural consequences leading towards death. Those who rebel against His law of love will exhibit that rebellion in unrighteous acts – sins. This state of sinfulness causes condemnation in the conscience and has punishment built into it. When a person persists in rejection of and distrust in God, He honors that free-will choice and in “anger” leaves the sinner to the consequences (effectively, the penalty) of his choices. If guilt brings conviction enough to cause a sinner to choose repentance he will receive forgiveness already granted by God to all. A realization of the grace and glory (character) of God to provide salvation leads the sinner to trust (have faith in) God; to be justified or set right with Him – what the Bible calls atonement – the condition of being “at one” with God. The repentant sinner then, as He beholds the righteousness of Christ, grows in sanctification towards perfection of character. Christ’s life (typified by His blood) and sacrifice frees (ransoms) us from what held us captive – the lies of Satan and our own sinful natures. There are other words (not used in the Bible) that help to understand the terms in this gospel glossary. Those are listed at the bottom of this page along with the glossary entries in which their definitions and any discussion are found. Any verses quoted or referenced on this page or pages for individual terms use the King James Version unless indicated otherwise. Remember, short descriptions only are included here. Word definitions may be updated with further information (or in response to reader feedback). Follow the headings for each word which are links (when available) to more detailed studies of individual words. Remember, the emphasis is on how word meanings vary between the two models of the gospel. Traditional Legal Model – thought of in the sense of satisfying the wrath of an offended God. Biblical Healing Model – the Bible does not use the word in relation to God. He does not need to be appeased. Traditional Legal Model – satisfaction of God’s justice by a legal payment of debt. 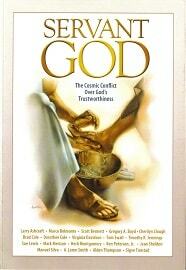 Biblical Healing Model – the process to become or the state of being at one with God. Traditional Legal Model – “Blood” (the bodily fluid) is the means or currency used for the payment for sin. Shed blood is required for sin to be cancelled (Heb 9:22). Biblical Healing Model – The blood is a metaphor representing the life. So Jesus’ blood stands for His life. We are saved by His life (Rom 5:10). Traditional Legal Model – When payment in blood has been made and accepted by the sinner, the debt of his guilt and record of his sin is blotted out. Biblical Healing Model – Heaven’s objective is to blot sin out from the heart/mind of the sinner so that it no longer has dominion over him. Both models share the meaning of to be in awe of or have reverence for God. The difference in understanding of the other major meaning – to be afraid – is examined in more detail. Biblical Healing Model – Sin always has negative consequences from which God works to protect us. Even the sinner need not be afraid of God but, rather, needs to fear the sin. Sin is sin because of the hurt it can cause to the sinner not because God arbitrarily decided which actions are sinful or not. Traditional Legal Model – To be hardened is understood to be an individual’s action of resisting or refusing truth. Biblical Healing Model – The meaning is the same but the word is included in the glossary to clearly distinguish who is responsible for the hardening. Traditional Legal Model – Christ pleading with His Father to convince Him to forgive us. Biblical Healing Model – Christ and His Father together dealing with evil, the forces of nature and with ourselves for our benefit. Traditional Legal Model – the legal determination of guilt or innocence and pronouncement of arbitrarily-imposed punishment. Biblical Healing Model – the determination of the state of the heart (diagnosis), therapeutic interventions, and pronouncement of natural result on one’s life choices. Traditional Legal Model – justice demands the penalty/wages of death and eternal separation from God. It is only satisfied if the guilty person pays that penalty of if someone else pays on his behalf. Justice is retributive. Biblical Healing Model – justice is doing the right thing which is to restore to a right state, to heal and to save. It is right to treat others as we wish to be treated, to not hold grudges and to not keep account of sins. Justice is restorative. Traditional Legal Model – the declaration that a person is right with God in a legal sense – his sins being forgiven and the penalty paid. Biblical Healing Model – to cure man’s condition in the sense of setting man’s heart right (or justifying it) with God. Traditional Legal Model – To kill as in “Thou shalt not kill” (The sixth commandment, Exo 20:13) is to commit what we would call murder, the malicious and unjustified taking of another life. It does not include killing in self-defense, times of war or in judicial acts. Biblical Healing Model – To kill is to take the life of another human under any circumstances or for any reason. Traditional Legal Model – rules made by God to govern our behavior which, if transgressed, incur the penalty/wages of death (Rom 6:23). God’s law is the design template for life and is based on love, the defining characteristic of God, (“God is love” – 1 John 4:8) deviations from which, if not corrected, naturally end in death. Specific laws given as diagnostic tools (“By the law is the knowledge of sin” – Rom 3:20) to show man his condition – whether or not he is in harmony with God’s law which is the principle of love and the template for life. Love is defined in a practical way by the life and words of Jesus Who came to show the true meaning of “God is love” (1 John 3:4, 8). From the perspective of the two models of the gospel, the “definitions” below point out the major difference in how God’s love functions toward sinners. Traditional Legal Model – Because of God’s love, He sent His Son to pay the legal penalty of death so that He could forgive and save us. Biblical Healing Model – Because God loves us, He forgives us unconditionally, holds nothing against us and sent His Son to show what that love is like. Notice that, in the Healing Model, the forgiveness came even before Jesus was sent (and came willingly). Because of the hardness of hearts, that revelation of His Father’s love was almost entirely rejected with the result that wicked men betrayed and murdered Him (Acts 7:52). Traditional Legal Model and Biblical Healing Model – the meaning of the term “name” is not so different between the two models. However, it is included in the glossary to emphasize that name is more connected to character than most people realize. There are many verses where understanding this strong connection will shed light on God’s character. Traditional Legal Model – Sin is simply the act of breaking God’s rules. If He says don’t do it and you do it then that is a sin; you have sinned and you are a sinner. Breaking His rules requires the administration of a penalty to maintain God’s justice. Traditional Legal Model – Smote or to smite is used both as a physical blow or as the conscience being smitten. Biblical Healing Model – The word is used similarly except that this model recognizes that often when God is said to smite it is by withdrawing His protection. It is also understood in the sense of to get someone’s attention. Traditional Legal Model – God’s outrage at the wrong done to Him; at how He has been treated. It is directed towards the one who has carried out the act and has a degree of retribution associated with it – to make the offender pay; to even the score so to speak. Includes God’s actions towards the offender. Biblical Healing Model – How God feels and what He does in reaction to man’s sinful/distrustful actions. What He usually does is to allow people to have their desire/go the way they want etc. Also giving people over to the consequences of what they have chosen, even if detrimental. Here are all the words that have definitions in the gospel glossary or for which definitions may be added. Note that completing this project will take quite a while – possibly into late 2019. Other words could be added and some could be dropped or grouped together. Anger, appease, atonement, believe, blood, blot (blot out), books (records), condemnation, conscience, conviction, curse, debt, discipline, evil, faith, fear, fierce, fire, fire (coals of), forgiveness, glory, gospel, grace, guilt, hardened, hate, hell, holy (holiness), imparted/imputed, intercession, investigative jealous, judgment, judgment, justice, justification, kill, law, lawlessness, love, mercy, murder, name, penalty, perfection, propitiation, punishment, ransom, reconciliation, repentance, righteousness, sacrifice, salvation, sanctification, sanctuary, satisfaction, second death, sent, sin, sinfulness, smote, sword, tempt, veil, vengeance, visit, worship, wrath. These words do not appear in the Bible but are useful to know the meaning of in order to understand words in the glossary. For definitions and any discussion see the bottom of glossary entries they are associated with. 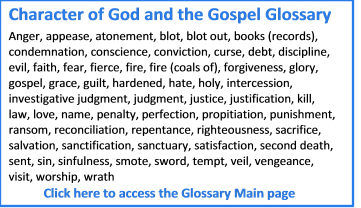 Additional words will be added to the gospel glossary as the articles/definitions are completed. If you would like to receive notice as new words are posted, click the link for newsletters in the upper right of this page. If you see issues with my wording in any of these definitions please let me know.